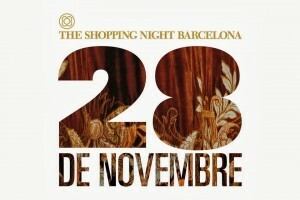 Barcelona Shopping Night 2013 – Some Serious Retail Therapy! Barcelona Shopping Night, one of the most anticipated retail events of the year, will be hitting the Catalan capital next Thursday, the 28th of November, and taking over Passeig de Gràcia with an awe-inspiring shopping experience! The avenue’s typical grandeur will be taken to the extreme, as the theme for the event this year is the operas of Verdi and Wagner. 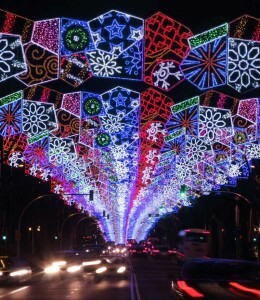 Passeig de Gràcia will be transformed into an amazing open-air theatre, with the three sections of the street hosting exciting events until the early hours of the morning. That’s right, Barcelona’s fame as a late night party city extends even to shopping as stores will stay open until 1am, allowing you to really indulge in some serious retail therapy. Big names like H&M and Superdry as well as designer brands such Tiffany & Co along with many more will be getting involved in this homage to the world of shopping. Look out for special deals, freebies and yummy tasters up and down Passeig de Gràcia! The top end of Passeig de Gràcia (Metro: Diagonal) will be themed around Wagner’s Valkyries. A fantastic cavalry performance will take place with warriors dressed in specially made costumes created by local designers. And that’s not all: some of the most dramatic scenes from the composer’s famous operas will be performed here too. The middle area of the avenue is to be dedicated to Verdi’s three most popular operas: La Traviata, Il Trovatore and Rigoletto. Many exciting activities will be taking place in this bustling area for the Barcelona Shopping Night, and you’ll no doubt be treated to a feast for the senses yet again this year. 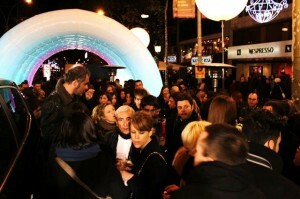 The bottom of Passeig de Gràcia (leading up from Plaça Catalunya) is to be transformed into the Ópera Prêt-a-Daser. Here you’ll find a cool catwalk where some truly inspiring fashion shows will be taking place. Ten emerging fashionistas and shoemakers have designed works especially for the event and, to the accompaniment of the wonderful Liceu Theatre Choir and its performances of Verdi and Wagner’s classics, dancers will take on the catwalk in true style. Barcelona’s Shopping Night is the perfect opportunity to get cracking with some Christmas shopping as there are endless products on offer and many of the participating stores have great discounts for one night only. All of this along with beautiful festive light displays and exciting hustle and bustle that is sure to get you in that Christmassy mood in no time! This entry was posted in Events, Home, Shopping and tagged barcelona activities, Barcelona culture, barcelona eixample, barcelona events, barcelona festivals, barcelona nightlife, Barcelona shopping, Barcelona Shopping Night, barcelona tourist guide, catalan christmas traditions, christmas in barcelona, christmas shopping barcelona, shopping in Barcelona, things to do in barcelona, tourism in barcelona, visiting barcelona. Bookmark the permalink.